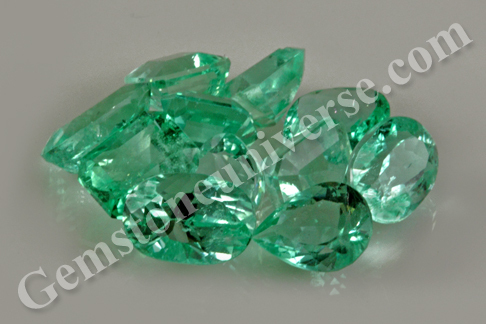 Articles: Can emerald be worn as a pendant astrologically? Many times people ask this question whether Gemstones can be worn in the neck as pendant and would they be equally effective and give equivalent results when worn in fingers. There is no one single and perfect answer to that and it is best to consult a qualified expert Astro Gemologist for the best option as He/ She will analyse the birth chart in Detail and give the best solution as per the horoscope and the placement of the planets which is unique to every individual. 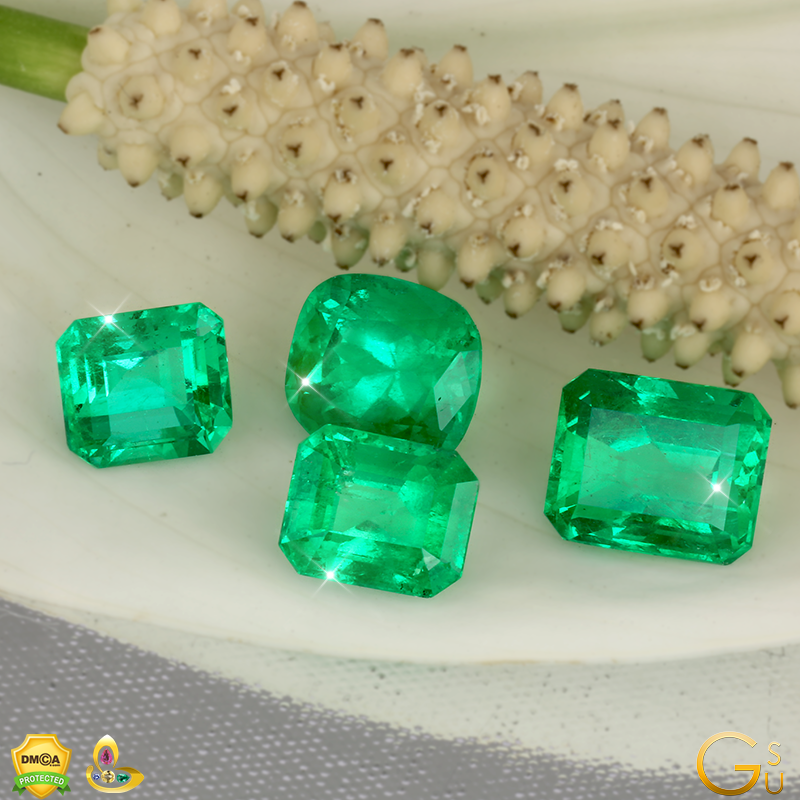 The precious green gemstone of the beryl family is the Emerald. 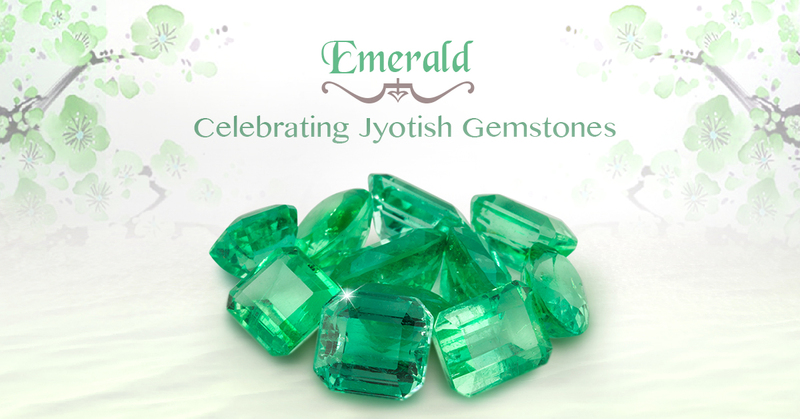 As per the Vedic Astrology texts Emerald is the gemstone of planet Mercury. 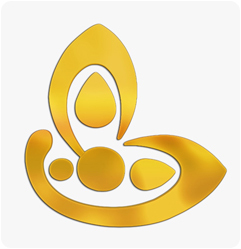 In this era Mercury achieves special significance as it is the planet of finance, business, accounts and communication. 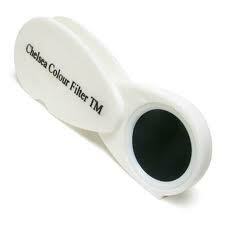 It rules the IT( information technology) and ITES ( Information technology enabled services). 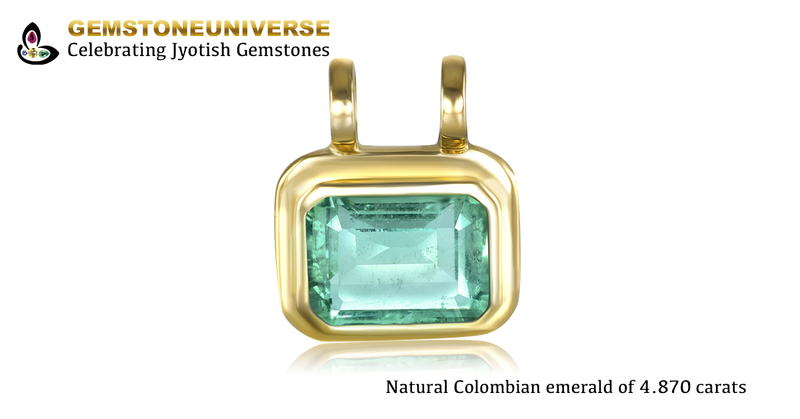 The important conditions where Emerald can be worn as a pendant are discussed below. 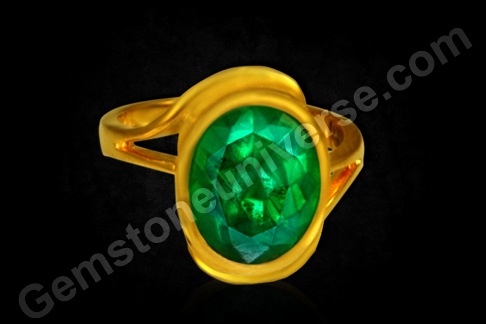 In these Astrological conditions Emerald Pendant will give excellent results. Please note that these are just some major conditions and not detailed. 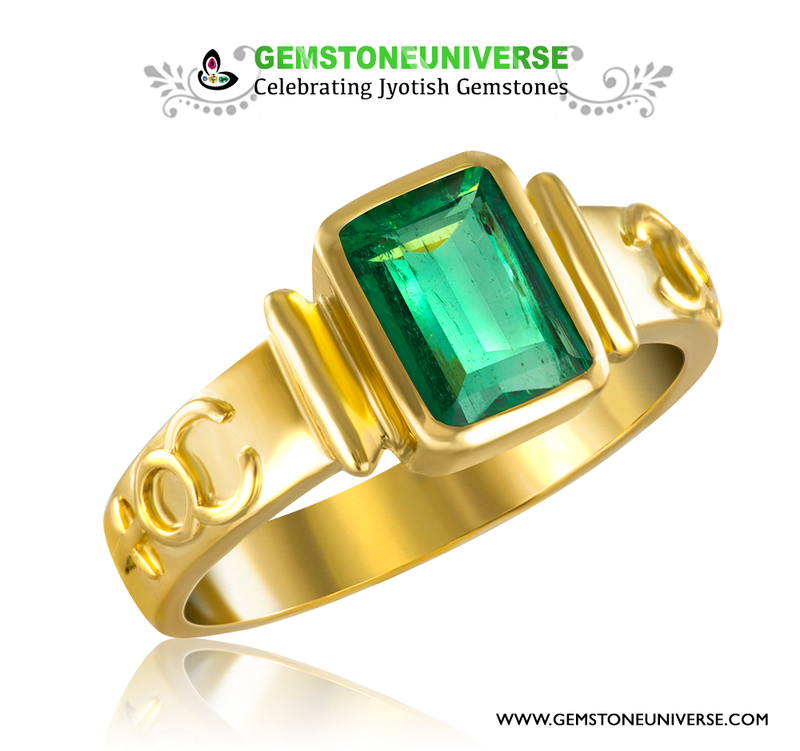 Other conditions can be assessed only after analysis of a birth chart and correct gemstone recommendation. - When Mercury is the Ascendant Lord. This will be the case of Gemini and Virgo Ascendant. - When Mercury is the Rashi Lord (Lord of the moon sign). This will be the case of the Gemini and Virgo ascendant. - When mercury is posited in the first house/ ascendant. In case of Pisces ascendant this rule does not apply. - When Mercury is posited with the ascendant lord. - When the ascendant lord aspects Mercury. - When Mercury aspects the ascendant Lord. 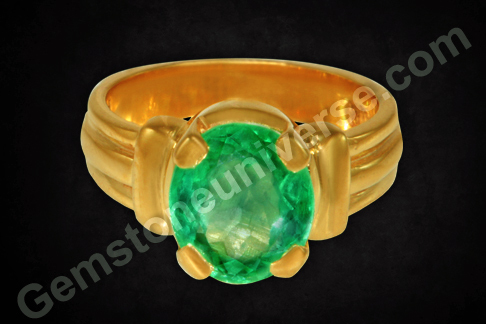 - When the power of Emerald is required to boost health, immunity or recovery from a disease. 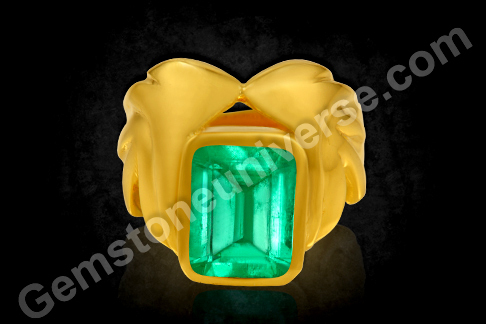 These are some of the conditions in which Emerald worn as a Pendant shall give excellent results. Wearing a Gemstone in the neck as pendant is akin to establishing the planet ruling that gemstone in the ascendant/ 1st house. As everybody knows the ascendant lord is like the shield of the horoscope and this planet comes to the rescue when all other planets fail. Most importantly this planet provides health, immunity and protection. 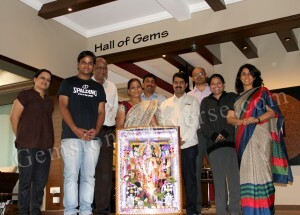 As stated earlier it is best to consult a qualified Astro Gemologist for the best results. 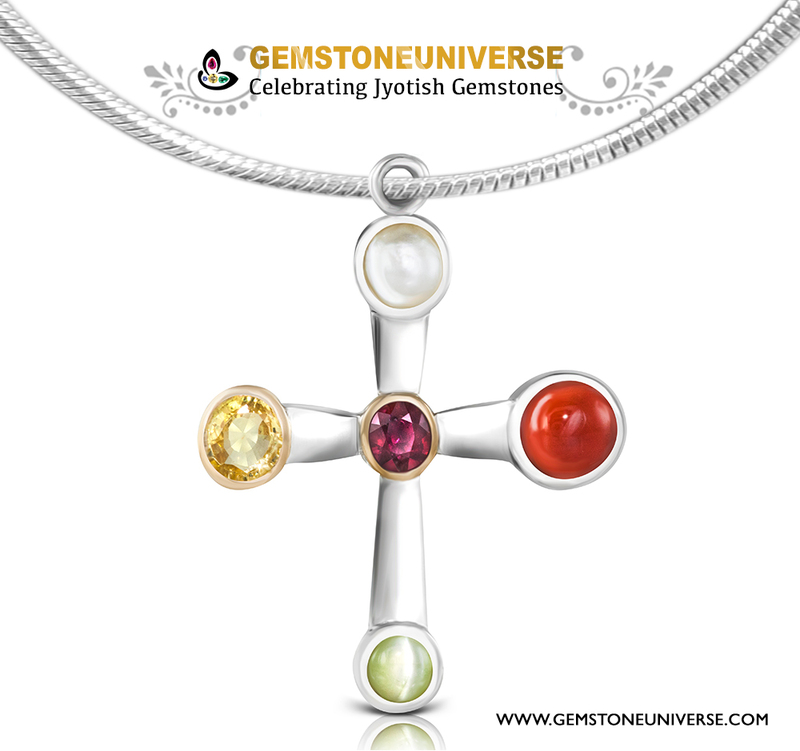 Where should the gemstone touch for best results if worn as a pendant? The length of the chain should be such that the Gemstone should touch the thymus gland area (directly behind sternum, just above the first rib bone) - see picture below. This gland is responsible for providing immunity. In general the ideal chain length for the gem to touch the thymus gland should be 22-24 inches depending on the height. 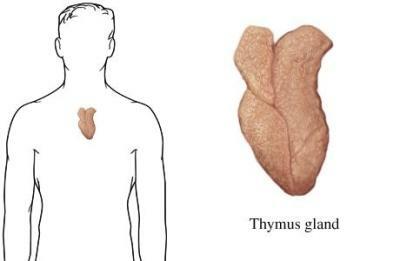 For most individuals the thymus gland will fall in this chain length. The chain can either be gold or silver as both are good conductors. 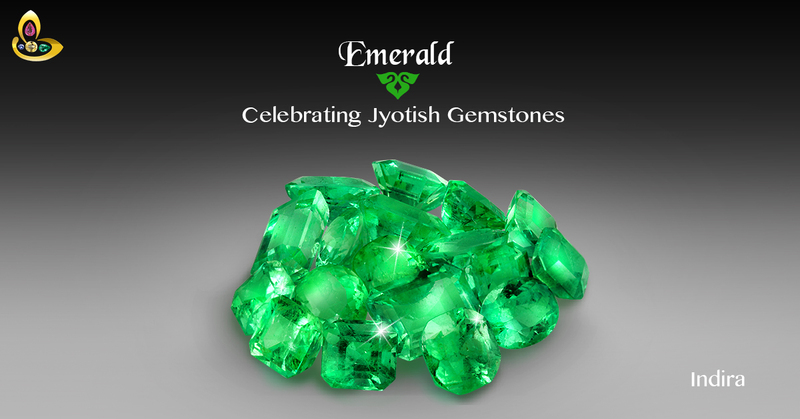 The metal of the Emerald will be determined by the Astrologer after the horoscope analysis. 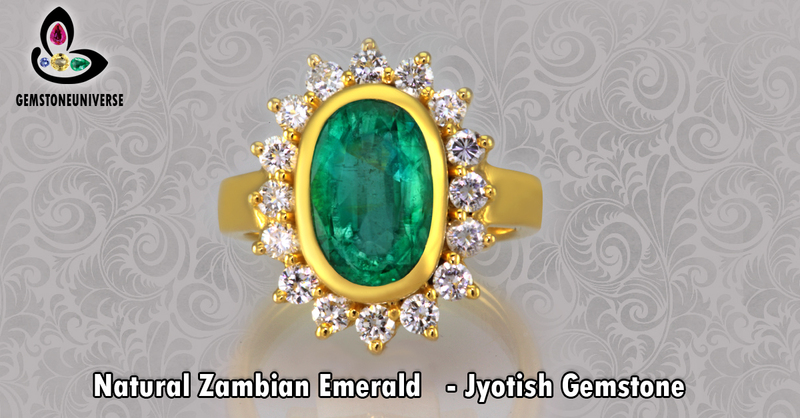 The sacred science of Planetary Gemstone Therapy and Jyotish Gemstones is very detailed and exact and in the hands of the right person provides exceptional and miraculous results. 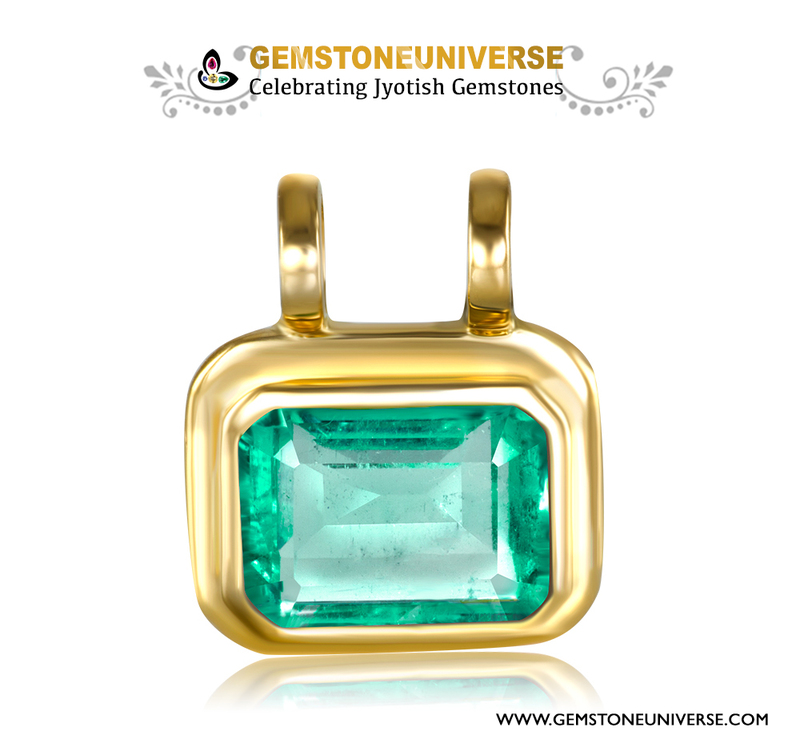 “A Gem is for a Gem” could not have been truer when you take a glance of this Elegant Emerald Pendant. You must view the video to gain a more correct appreciation of this masterpiece of nature that promises style, panache and abundance to its wearer. Weighing in at 4.87 nearly 5 carats this classically Emerald cut Columbian Emerald is 90% and more clear which is astounding for an Emerald which is always an included gemstone. 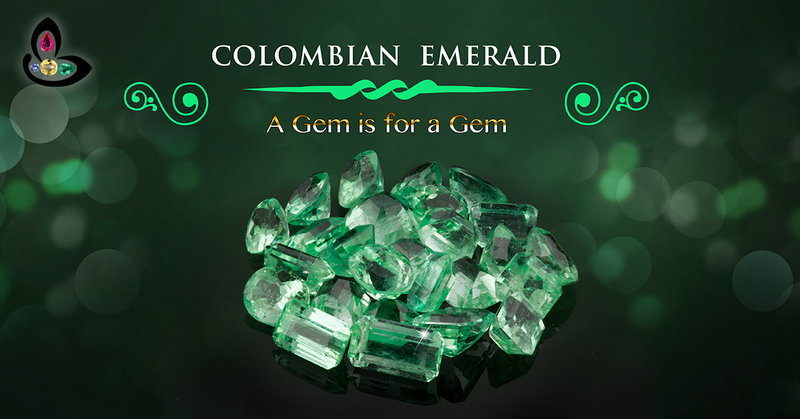 Judging Emerald clarity is a difficult task but this Columbian Emerald’s exceptional clarity puts it in the league of the top 2% of the gemstones. 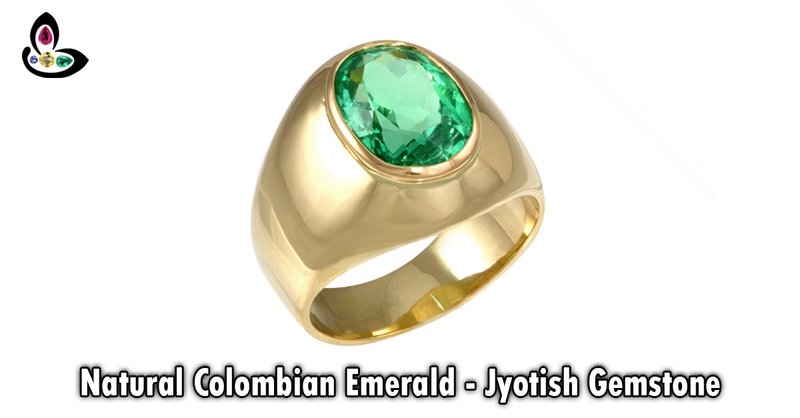 The bright summery grass green colour is pleasing to the eyes and gives a dramatic contrast against the rich burnished shine of the 22 K high karatage Gold. Two rounded loops at the top give it the appearance of a sacred taweez- a protective amulet. 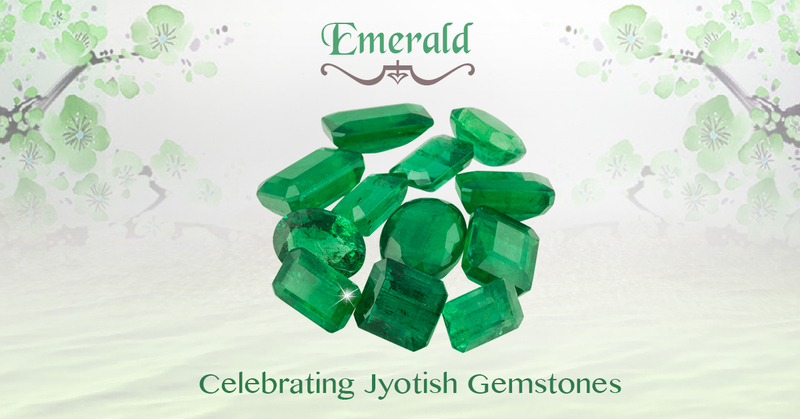 Free from any flaws as listed in sacred texts this Emerald is a true Jyotish Gemstone that shall deliver the best results planet Mercury has to offer. 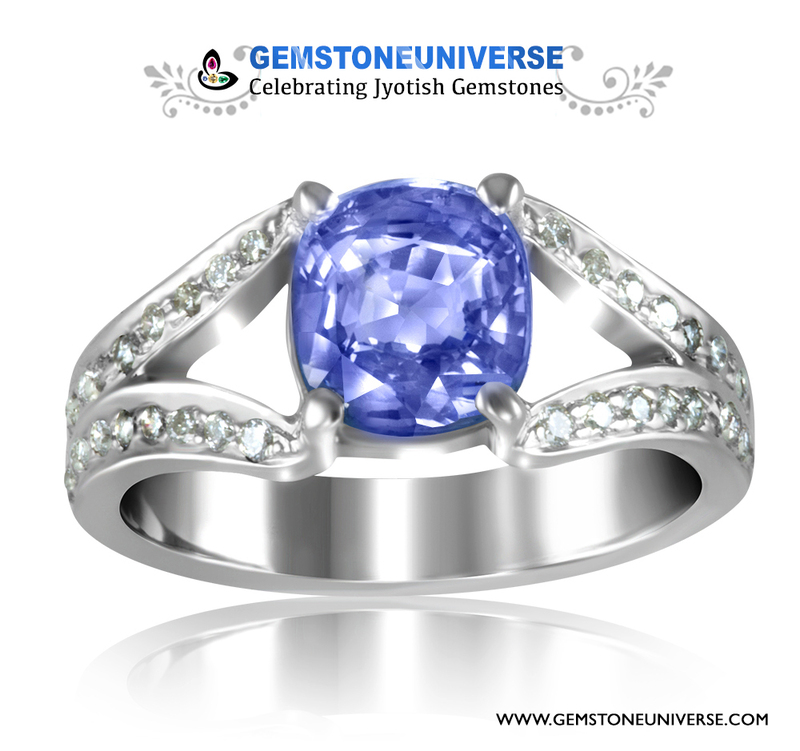 Look at the price- this wonder could only happen because of the Gemstoneuniverse unmatched price guarantee.